Saving the Farm; A Journey through Time, Place, and Redemption is the story of how the Dudley Farm became a museum to preserve and represent a vanishing past. By itself, that story may not be of any great importance, but at a time when local farms are all but gone, the struggle to save the farm for future generations took on a crusade like quality for the small group that took on the task and the hundreds who supported their effort. Faced with unrelenting residential and commercial development, a lament repeated in neighborhoods across New England was heard in the small community of North Guilford—is this what we want? Can we preserve the history and heritage that made us who we are or will it be lost forever in the name of progress? 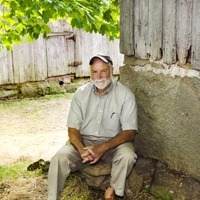 James T. Powers first developed a life-long love of history while growing up in the old industrial town of Wallingford, Connecticut where he came to realize that the past was all around us and that by connecting to it we could come to better understand who we are. Following graduation from Wesleyan University in Middletown, Connecticut, James committed himself to a career of sharing that love through the teaching of history. Over the years, his interests and expertise have expanded to include local archaeology and the study of New England Colonial architecture both which he teaches at Guilford High School in Guilford, Connecticut. Besides a BA, James has also received two Masters Degrees from Wesleyan University. 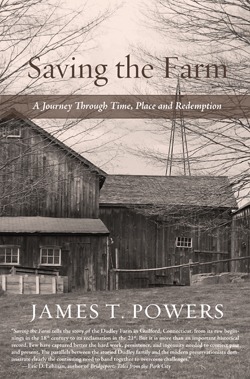 His first book, Saving the Farm; A Journey through Time, Place, and Redemption is a product of his passion for the past.